hd00:32Man with laptop computer start new business project at cafe. Young businessman. hd00:17Young man in white t-shirt speaks with friends or relatives online on laptop computer. 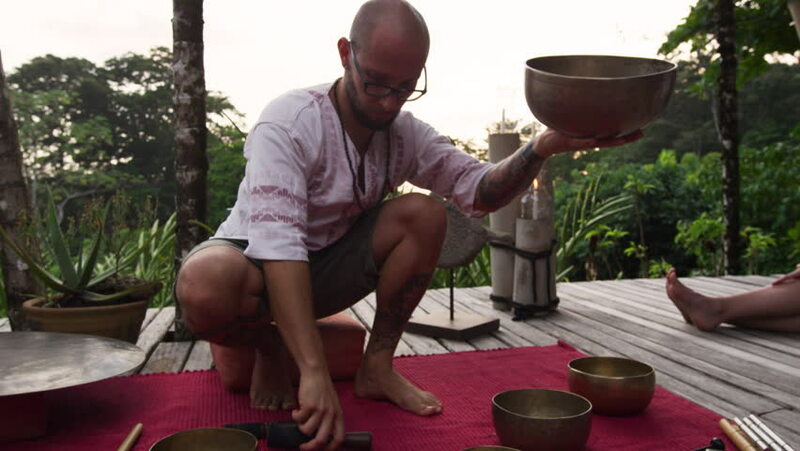 4k00:23A beautiful, cinematic dolly tracking gimbal slider shot of a group of people taking a sound therapy healing session ceremony at an ecolodge in the Costa Rican jungle.